AK Interactive Hay 22 productos. 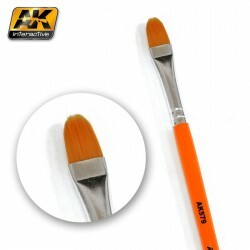 Saw Shape weathering Brush. Marca AK-Interactive. Ref: AK576. Fine Long weathering Brush. Marca AK-Interactive. Ref: AK577. Diagonal weathering Brush. Marca AK-Interactive. Ref: AK578. 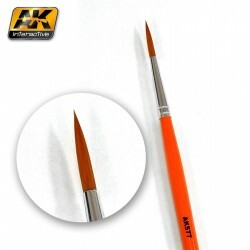 Rounded weathering Brush. Marca AK-Interactive. Ref: AK579. 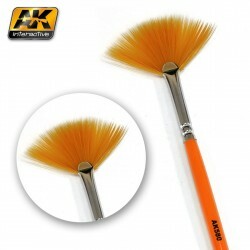 Fan Shape weathering Brush. Marca AK-Interactive. Ref: AK580. Pincel Redondo 5/0 Sintético. 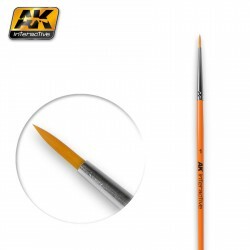 Marca AK-Interactive. Ref: AK600. 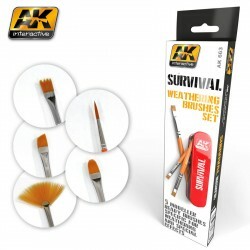 Survival Weathering Brushes Set. Marca AK-Interactive. Ref: AK663. Pincel Redondo 3/0 Sintético. Marca AK-Interactive. Ref: AK601. Pincel Redondo 2/0 Sintético. Marca AK-Interactive. Ref: AK602. Pincel Redondo 1 Sintético. Marca AK-Interactive. Ref: AK603. Pincel Redondo 2 Sintético. Marca AK-Interactive. Ref: AK604. Pincel Redondo 4 Sintético. Marca AK-Interactive. Ref: AK605. Pincel Redondo 6 Sintético. Marca AK-Interactive. Ref: AK606. Pincel Redondo 8 Sintético. Marca AK-Interactive. Ref: AK607. Pincel Plano 8 Sintético. Marca AK-Interactive. Ref: AK608. Pincel plano 2 Sintético. Marca AK-Interactive. Ref: AK609. Pincel plano 4 Sintético. Marca AK-Interactive. Ref: AK610. Pincel plano 6 Sintético. Marca AK-Interactive. Ref: AK611.